Thank you for picking Lions Concrete Cutting & Coring Inc. Call today for a free estimate. 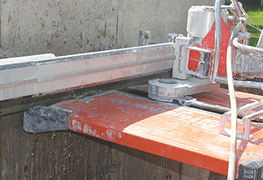 Lions Concrete Cutting & Coring Inc is a fully insured and incorporated company that was founded in 2015. 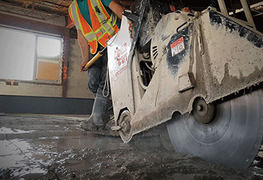 We are WSIB registered and have years of combined experience with concrete cutting in Waterloo. Our business offers a wide range of services including wall sawing, hand sawing, floor sawing, coring, and GPR scanning for commercial, residential, industrial, and agricultural locations. We work hard to ensure the job is done on time and on budget. As the kings of the concrete jungle, our team is dedicated to keeping our rates affordable while still offering unbelievable quality workmanship. We want to get the job done right so that you are left satisfied with the final product. 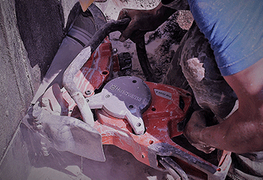 We use the finest and most advanced techniques to emphasize safety and to make precision cuts so that your project timeline can keep moving on schedule. We have a commitment to our customers that we promise to never break. We take pride in showing up when we say we will, ready to work. We would love the opportunity to work for you so please don't hesitate to give us a call or send us an email. It is our guarantee that you will receive a response in less than 24 hours! 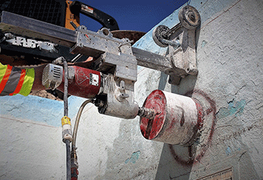 Thank you for choosing Lions Concrete Cutting & Coring Inc. We are happy to work with you.